C5 is a results-driven, full service, affordable Inbound Marketing company that drives quality traffic into high conversions. We service small businesses and non-profit organizations. For complete details and a free professional - no obligation consultation - please contact Carlos at 314-549-5053. You'll be glad you did. 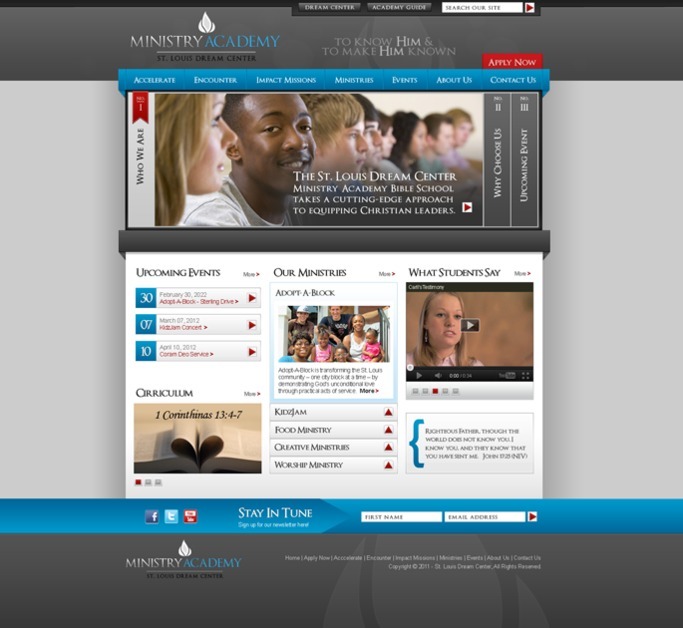 This screenshot is a new design for our client St. Louis Dream Center's Ministry Academy.